The 1990 season of Field of View was the first step in a long road of historical success. Following amazing reviews at WGI Regionals and local competition, the popularity of "Danse Macabre" grew Field of View's fan base. The highly creative and entertaining show brought great excitement to audiences. 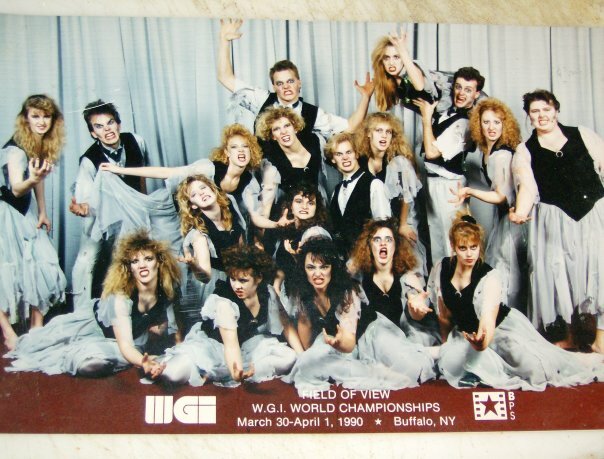 The combination of theatrics, exciting staging, and choreography allowed for great success as 1990 was the first year the guard placed at WGI World Championships. Season highlights include : 10th place finish at WGI World Championships, Pennsylvania State Champions, TIA Wildwood Champions, and Philadelphia Thanksgiving Day Parade live TV performance.